The Nevada Volunteer Research Initiative (NVRI) started in 2014 wanting to provide information about volunteerism in Nevada and how to improve it. In 2015 they conducted a survey revealing details on the people who are volunteering and what motivates them to offer volunteer. They took the collected data and combined them into a report to share with colleagues and partner organizations. UNLV Professors Dr Jennifer Keene and Dr Takashi Yamamashita, both key members of the NVRI team, approached our Las Vegas Web Design team at All in Web Pro to come up with the best way to share their findings in a visually engaging online website that everyone could easily access. To help the NVRI we came up with a branding solution for a digital and print campaign to promote themselves and the survey; by creating a website, brochure, and redesigning the reports presentation. The first concern they had was while they themselves were credible professors they needed a way to visually communicate the value of the data and establish the report as a reliable and legitimate source of important information at a glance. Their branding which included the logo design needed a combination of professional appearance mixed with bringing a sense of warmth and caring to reflect the philanthropic tone of the subject of their research, community volunteerism. We used a combination of traditional type fonts with a simple yet effective illustrated icon. This clean and modern style of drawing were carried throughout the rest of their branding assets. The NVRI website was built in WordPress with a custom theme featuring CSS3 animated bars to make report stats visually appealing. You can visit NevadaVRI.org to learn about them and their findings. You can even view a copy of their 2015 report which we designed. VEGAS INC and Cox Business highlighted Southern Nevada’s greatest technical achievements at its sixth annual Top Tech Exec Awards at The Smith Center for the Performing Arts on Tuesday, November 15, 2016. While guests enjoyed complimentary drinks and desserts from the Four Seasons’ catering department, the evening’s emcee and Greenspun Media Group’s publisher, Gordon Prouty announced the winners. Honorees were also featured in the November 20, 2016 issue of The Sunday and November 21, 2016 issue of Vegas INC.
An independent panel of judges, many of whom received a Top Tech Exec award in 2015 determined the winners. Selections were based on factors such as recent achievements, impact on his or her company, major projects, and more. Shavonnah Tiera Collins, Managing Director of RedFlint Experience Center was awarded the Community Exemplary Award. The brand new RedFlint Experience Center opened in October 2016, and seeks to provide startups, established companies, and entrepreneurs with access to new concepts, programs, and technology, as well as provide training to professionals who have fallen behind with rapidly advancing technology. Congratulations to the award winners this year and all the nominees! 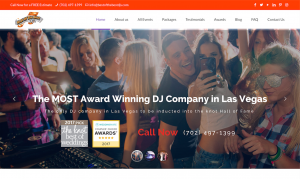 On November 1st 2016, local Web & Graphic Design company All in Web Pro.com, LLC will launch a new community video project website entitled Vegas Visionaries. The company's founder, Owen Carver, had the idea to create a website to capture the ideas and passion of local leaders and innovators who have a vision for how to make Las Vegas a more thriving and sustainable place. 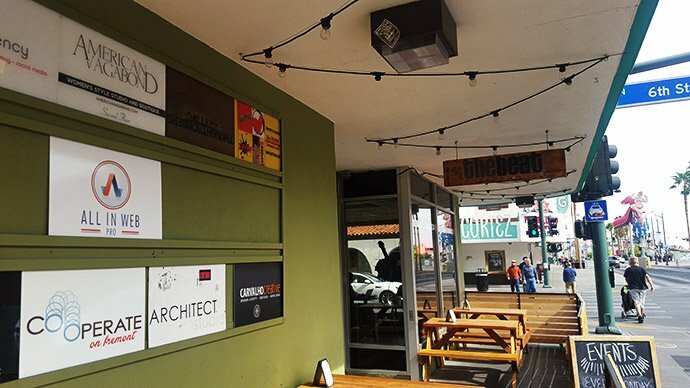 The goal is to use the power of the internet to share these kinds of ideas with everyone in Southern Nevada and connect local leaders and innovators who would have never otherwise connected. It's like Ted Talks but specifically about how to make Las Vegas a better place. Once launched, anyone will be able to visit the VegasVisionaries.co website to watch 4 minute videos of local visionaries sharing their passion, ideas, and projects they are working on to make Las Vegas a better place. The website is designed to help educate Las Vegans about the power that ideas have to transform our world when they are turned into action. Anyone who considers Southern Nevada home and has a specific vision for how to make Las Vegas a more thriving and sustainable place is encouraged to apply to become a Vegas Visionary online on their website. Residents are also encouraged to nominate anyone in their community. Applicants and nominees must already be taking action on their vision and know what specific actions others can take to help make their vision a reality. Local residents of all ages and backgrounds are encouraged to apply! . "In Las Vegas we have all the knowledge, skills, passion, and manpower to solve every challenge our communities face in Southern Nevada", says Carver. "Our biggest challenge is simply connecting everyone with other local visionaries and spreading stories about the many easy ways people can get involved to make their city better", he continued. Founder, Owen Carver, is currently running for Nevada State Assembly in District 2 in the Summerlin area of Las Vegas. 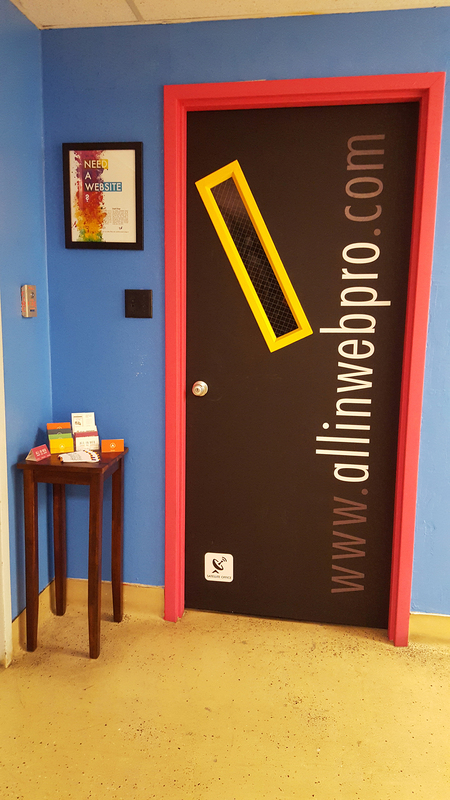 For inquiries or comments please contact All in Web Pro at 702-331-0650 or info@allinwebpro.com. Please visit VegasVisionaries.co for more information. Below are web ready images and links to high resolution files below each image. Las Vegas based web and graphic design company All in Web Pro is announcing an open call to local visionaries to be part of a new community benefit project, in the form of an interview series called Vegas Visionaries. The series will highlight the voices of local leaders and visionaries of all ages in Southern Nevada by filming 4 minute interviews where they are asked 5 questions about their vision for how to make Las Vegas a more thriving and sustainable place. Videos of each interview are then posted to the website, http://VegasVisionaries.co/. Filming for pre-scheduled interviews take place at All in Web Pro’s satellite office, on the 2nd floor of the Emergency Arts building, on Fremont & 5th Street in downtown Las Vegas. Anyone who considers Southern Nevada home and has a specific vision for how to make Las Vegas a more thriving & sustainable place is encouraged to apply to become a Vegas Visionary by contacting All in Web Pro by phone or email. Applicants must already be taking action on their vision and know what specific actions others can take to help make their vision a reality. Local residents of all ages and backgrounds are encouraged to apply! What’s your name, title, organization and what you do there? What’s your vision for a thriving and sustainable Las Vegas? What actions are you taking to make your vision a reality? What actions can other people take to make your vision a reality? All in Web Pro has already conducted several interviews with individuals in the Education, Medicine, and Social Services sectors, and plans to interview leaders from all of Las Vegas’ biggest charity organizations, as well as a wide variety of individuals, regardless of their age or level of experience, as long as they meet the criteria for applying. “This video series captures clearly the articulated visions of some of our valued community members! What is required is for you to add your vision, bringing integrity and passion to that vision”, said Gard Jameson, Co-Founder of Volunteers in Medicine and Professor of Philosophy at UNLV, who was one of the first people to be interviewed for the project. "I think by providing a space for our thought-leaders to connect with entrepreneurs and community members across different industries and interests, we're going to see an acceleration of positive change here in Las Vegas", said Chris Reger, a local education entrepreneur, former Clark County School District teacher and Teach for America alumni who All in Web Pro recently interviewed. “Vegas Visionaries can help link people that are doing work in our city. It’s important for the general public to be aware of all the innovative, exciting, and supportive work people are doing. Vegas Visionaries will also help inspire others who want to get involved but aren’t sure how”, said Juliana Urtubey, a Special Education Teacher and Garden Team Lead from Crestwood Elementary states after her experience of being filmed for the video series. Owen Carver, the founder of All in Web Pro, who created the idea for Vegas Visionaries said, "Las Vegas has an abundance of opportunities for innovation, both economically and socially, which, with hard work and the right vision, could make Nevada a national leader in many ways. 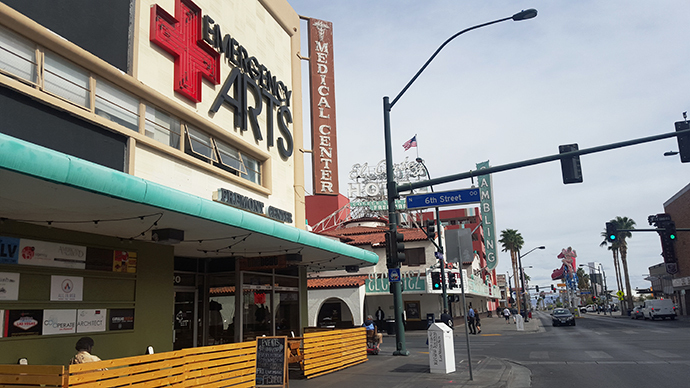 We already have all the knowledge and skills we need to solve our biggest problems in Las Vegas, our biggest obstacle is simply not being connected with the other people who are doing amazing work on the same issues." With this interview series, All in Web Pro hopes to educate and engage budding new local visionaries, get them excited about solving the problems facing Las Vegas, and to share their visions with a larger audience so they have a better chance of becoming reality. Fahima Khalaf, a recent participant and Muslim Community Advocate said, "I am thrilled to be a pioneer with Vegas Visionaries. My hope is to connect with like minded individuals that will innovate, inspire, and collaborate with me to make my vision for Las Vegas a reality." Since 2010, All in Web Pro has been building websites and designing graphics for local businesses, and is a proud supporter of many local charities and causes. One example of this includes leading and organizing Vegas GiveCamp, a ‘hack-a-thon’ for charity, which raised over $300,000 in in-kind web & graphic services for local non-profits between 2013 & 2014. All in Web Pro has also donated thousands of dollars and many volunteer hours at Clark County schools with the help of Green Our Planet, a school garden education non-profit that has grown rapidly since 2013 and now helps run garden classroom curriculum programs in over 75 Clark County schools. To apply or learn more contact All in Web Pro by phone or email or visit the Vegas Visionaries website VegasVisionaries.co. Send press inquiries to press@allinwebpro.com or contact All in Web Pro by phone or email. For press inquiries please email press@allinwebpro.com. If you sell products online or use your website to refer customers to your business, it’s important that your website does a good job of converting visitors into sales or leads. When designing a new website or updating an old one, it’s quite common to focus on aesthetics. However, this could be disastrous for the business goals you want to accomplish with your website if you don't ensure that you're website is designed to achieve the goal you created it for in the first place. It’s best to try to find a balance between your website's goals and aesthetics together and come up with a “design that sells”, or in other words, converts traffic into the sales or actions you want your visitors to take. When designing a new website, it’s important to understand that the design of your website not only represents who you are as a company but is also a major influence on the amount of sales or leads generated via the website. And these days, websites have become the first major means of communication between you and your potential customers making it very important to have good website design. However, web design is not just the visual design that we see, but it’s the entire structure, architecture, user interface, graphics, user flow, and website layout. By properly utilizing these as well as color, contrast, images, and typefaces it’s possible to boost your website’s conversion rates with a coordinated focus that envisions how all these elements work together to drive your target conversion. Depending on which strategies and creative techniques are used while designing a given website, higher or lower conversion rates can be achieved. Once visitors know that your website has something your visitors are interested in, the visual design of your website can draw them in and can help focus their attention on what matters and move them to take your desired action or "conversion". Our team of web designers at All in Web Pro in Las Vegas understand that certain parts of your website are more important that others, such as forms, calls to action, value propositions etc, and that your website requires appropriate techniques to make those parts of your website get more attention than other less critical areas. One way to start boosting your website’s conversion rate that is being adopted more often by brands that have a single conversion goal, such as a single signup option is to create a simple and clutter-free design that doesn’t confuse visitors about which direction to go, or what to click on. Remove any unnecessary links, pointless information and extraneous images from your website to eliminate distractions as much as possible. Simple web layouts may work best for websites with that only have one single conversion goal. Also, check out your competitors’ websites to see what conversion tactics they may be utilizing, as sometimes the optimal conversion tactic for a specific audience or industry can be unintuitive and something discovered over a period of time through trial and error such as A/B testing. Try creating a simple and clutter-free design which doesn't make the user confused with too many options about which direction to go or where to click. Removing unnecessary links, information that doesn’t lead towards action and unsupportive images from your website can eliminate distractions and focus a visitor’s attention towards the action you want them to take. Although this is a simple design tip, the results you might achieve by following it while still adhering to good web design principles could give you a massive boost to the conversion rates of your website. All in Web Pro in Las Vegas provides custom web design and graphic design services. One of our specialties is creating conversion optimized web designs that will help you increase sales and refer more clients to your business.